Ferry Industries, Inc., is a recognized leader in the rotational molding industry. We’re proud to offer the global market our family of products, which includes RotoSpeed™ rotational molding machines, Quintax™ machining centers, and Femco™ precision bandsaws among others. But we’re even prouder of the people who design, manufacture, and support them day in and day out. We’re always looking for great people who share our love of going the extra mile to ensure a customer’s experience with our machines is just as powerful and rewarding as the machine itself. If that sounds like you, then we’d love to have you on our team. Whether your background is in design, engineering, manufacturing, sales, service, finance, or management, Ferry has a place for you to put your talents and expertise to work. Please feel free to browse our open positions. Check, again, soon if you don’t find an opening relevant to your field or experience level. Our company is constantly growing and looking for great people to help lead the charge. 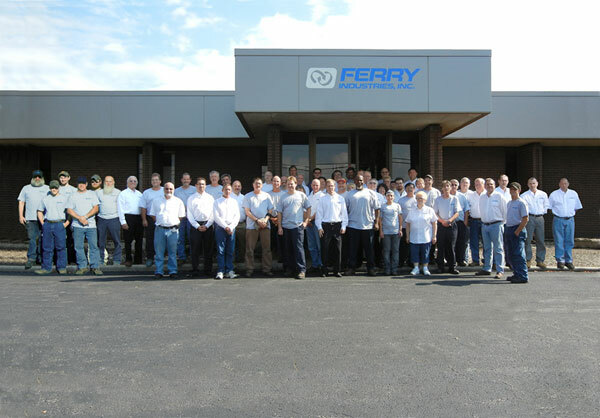 Ferry Industries, Inc., is an Equal Opportunity Employer. Field Service Technician for installation, start-up, troubleshooting, training and field technical support for all product lines produced by Ferry Industries, Inc., for both domestic and international customers.